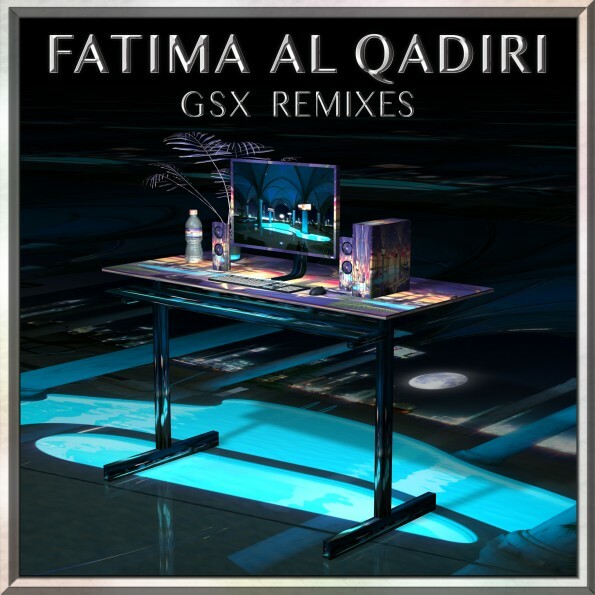 Last year, Brooklyn-based producer Fatima Al Qadiri's Genre-Specific Xperience EP on UNO NYC was an electronic experimental record that melded spiritual themes with modern bass, hip-hop and juke influences. This week, UNO NYC released GSX Remixes, a 7-track remix record that features reworks of the originals from Girl Unit, DJ Rashad, Kingdom, Dutch E Germ, Dubbel Dutch, Nguzunguzu, and Ikonika. The remixes on this EP are much more dance-floor oriented than their originals, and it is really interesting to see how each of the remixers took each tune to their own direction. Girl Unit takes "How Can I Resist U" into an electro/Detroit workout with drum-lines that's similar to some of his tracks on his Club Rez EP. Juke and footwork followers should definitely check out Rashad's remix, while Kingdom's rework of "Corpcore" shows off plenty of bass and keeps it interesting with skittery percussion. My personal favorites are the remixes by Nguzunguzu and Ikonika. While keeping the original steel drum melody in "Hip Hop Spa", Nguzunguzu layered it with a beautiful punchy sub and turned it into a monster bass roller. Ikonika also used a similar formula in her "D-medley" remix, throwing in a warm bassline and adding timely melodic switch ups. All in all, GSX Remixes is a very unique collection of reworks and one that bass lovers should not miss out on.